Hola Lexicans! One of the things I got for Christmas, was Silence Is Goldfish, a book by Annabel Pitcher. I had already read and adored her other two books (not a series), My Sister Lives On The Mantelpiece and Ketchup Clouds, so I straight away dug into this book. Now I never reviewed MSLOTM and Ketchup Clouds (although I did mention it in my October Favourites), so I just have half-written drafts of both books. They're just the kind of book which is very hard to put into words. But, after reading Silence Is Goldfish I just couldn't ignore those drafts anymore, so here are 3 mini reviews of Annabel Pitcher's books. This books follows the life of 10 year old Jamie, after his older sister Rose was killed in terrorist attacks. After that, his parents start fighting and his whole world is falling apart. This book is simply beautiful, and the characters have been created with the perfect amount of detail, so you really do fall in love with them. 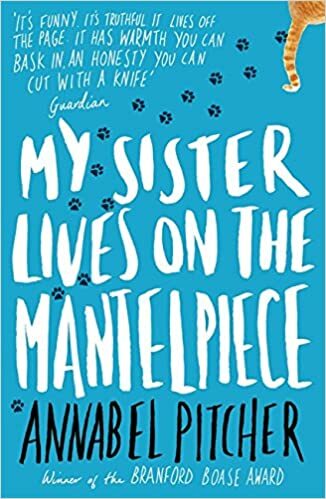 It's a very sad and emotional read, so be prepared with some tissues, however Annabel Pitcher sheds a little light, hope and innocence on the subject, which I think makes it even sadder. Definitely recommend this book for older readers and adults. I started reading this book whilst at Watergate Bay Hotel, and I was gripped from the very beginning. It tells the story of a 15 year old girl who has a deep dark secret she dare not tell anyone. However she needs to confide in someone, so she picks up her pen and begins to write letters to her murderer pen pal. This is such a poignant tale and makes me feel so emotional and speechless when I just think about it. I really felt involved with the story, and could imagine a whole other world. This has to be one of my favourite books now ever, and 100% recommend this to everyone my age and older, boys, girls, men, women alike! Tess Turner is the kind of girl who says things to make friends, who lies to fit in. Not for herself, just because of the peer pressure she feels. Lies make her feel comfortable, but they scare her at the same time, and after realising just what the truth is, it doesn't matter whether she lives her lies, or the truth - she hates it either way. So she just doesn't talk at all... This book is pure perfection, and like Pitcher's other books, the characters are so well-developed and you really 'feel them', it's as if you know them in real life. The book is so powerful and memorable. Have you read any of Annabel Pitcher's books? Wow, these sound like great books. I'll have to see if my library has them!